Smoking just got a whole lot easier. 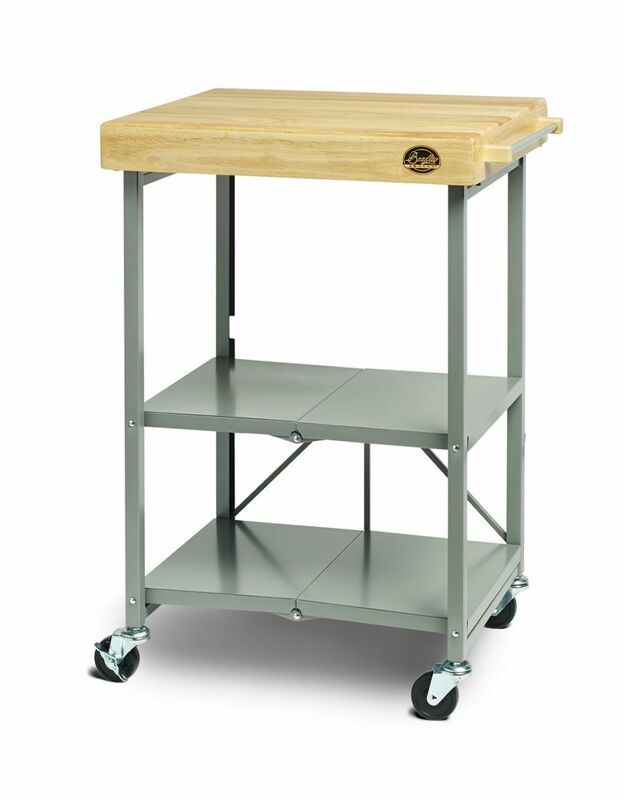 Crafted of steel and treated wood, the Bradley foldable smoker cart will enhance your cooking experience. With 4 wheels and a foldable design, this cart is easily stored when not in use. Home Styles Napa Kitchen Cart features a solid wood construction in a natural finish, brushed steel hardware, two easy open utility drawers on metal glides; double door storage cabinet with adjustable shelf; centre storage area with two shelves; spice rack/towel bar; paper towel holder, and heavy duty locking rubber casters. Size: 24-inch W x 49-3/4-inch D x 35-1/4-inch H.
Home Styles Wood Top Kitchen Cart with Breakfast Bar features a solid wood construction in a natural finish. Other features include 4 separate storage areas with raised panel doors, adjustable shelves, heavy duty locking rubber casters, 2-utility drawers, towel bar and kitchen tool caddy and brushed steel hardware. Size: 54-inch W x 18.5-inch D x 36.25-inch H. (30-inch D with breakfast bar extended). Foldable Kitchen Cart Smoking just got a whole lot easier. Crafted of steel and treated wood, the Bradley foldable smoker cart will enhance your cooking experience. With 4 wheels and a foldable design, this cart is easily stored when not in use.